Revel in me...: Moshi moshi. 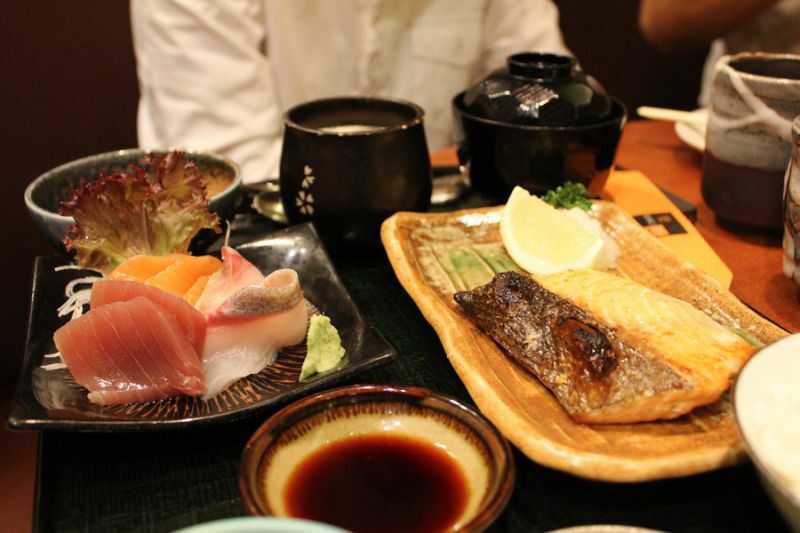 What is your favorite Japanese restaurant to frequent? I used to go to Sushi Zanmai whenever I want a cheap Japanese food fix, but let's face it, the food there is at best mediocre! That being said, I found another cheap Japanese restaurant recently-- Ichiban Boshi-- a lot of varieties, and price is very reasonable. 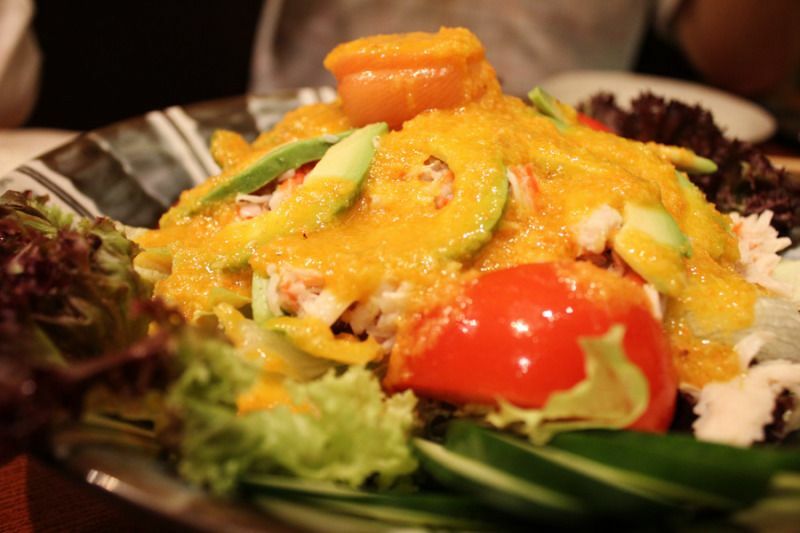 Another place I like is Hokano in Uptown, a friendly neighborhood Japanese restaurant. For slightly more expensive Japanese food, I was exposed to Hokkaido Ichiba (in Gardens) and Watami (Pavilion) thanks to Audrey and Ringo. I have never eaten anything other than Japanese food with them wtf. I've tried Kampachi a million years ago, and I can't really remember the taste of the food, but I have heard that the hotel's branch (in Equatorial) is better than the one in Pavilion though! One of the best Japanese restaurants that I have been to would be Fukuya (also 'cause of Audrey, for her birthday! ), and Hanare in Intermark (for MY birthday), hehehe. Grilled yellow fin tuna which dad recommended-- better than the usual grilled saba! 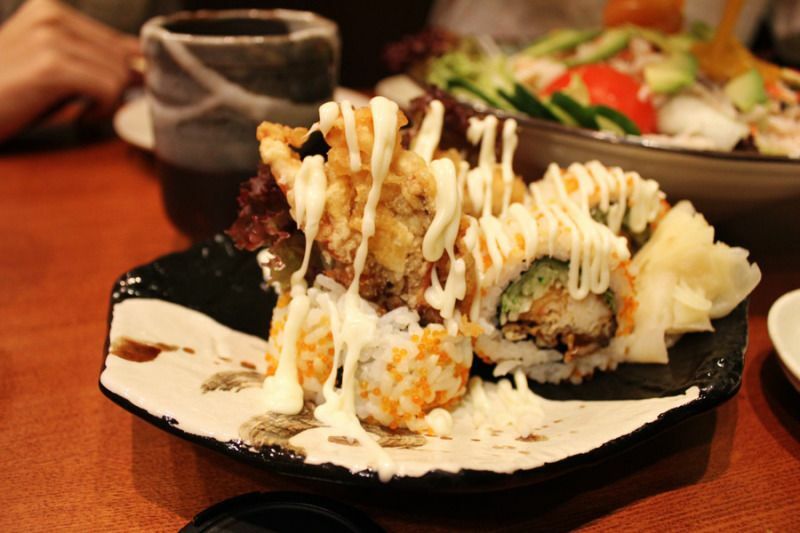 Soft shell crab sushi, my favorite! 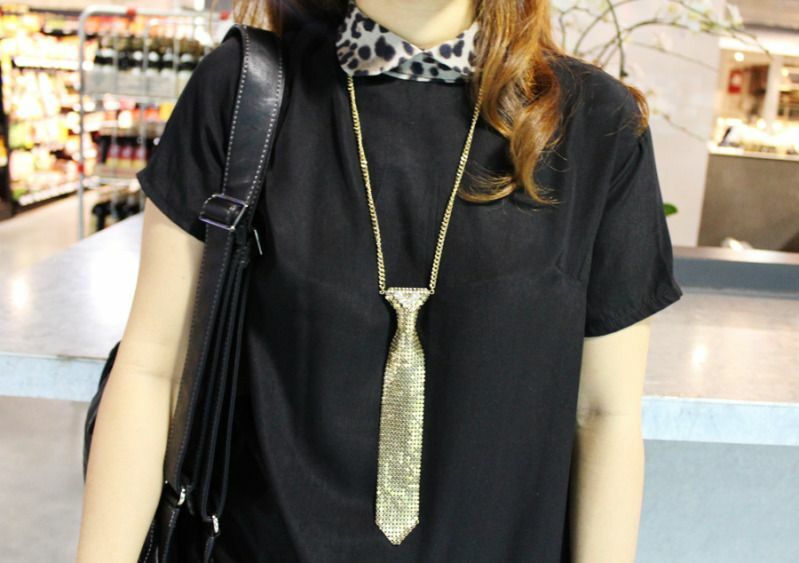 Adding a quirky touch in the form of a gold mesh tie necklace. And if you have been to Publika, I am sure you have been frustrated by the wonky phone connection there (no line at all!). During our entire dinner we were cut off from the world. Well, apparently, in Publika, you can only get phone connection at very few selected areas. i love jap food too. maybe influenced by the boyf who adores sashimi loads! haha thats what we do too if there's no network coverage. search high and low just so we can fb or insta or tweet! Your sister Jing used to be of large inspiration to me. It's too bad though, what happened with her blog. Would probably be odd to say now that I feel bad having never told her that, hence having to do it through you. Sorry about that. You rock my socks too! anonymous: Hahaha damn sohai right us. But yes, my mom actually tries to enforce a no-phones-during-mealtimes rule, but it fails most of the time, haha! Interesting gold mesh tie necklace!! my fav affordable jap place is senjyu in bangsar village 2.
it's arnd the same price as rakuzen. they have foie gras sashimi which is so awesome and their sashimi/sushi is much fresher than rakuzen. awesome armswag!! and your family is sooo cute!! 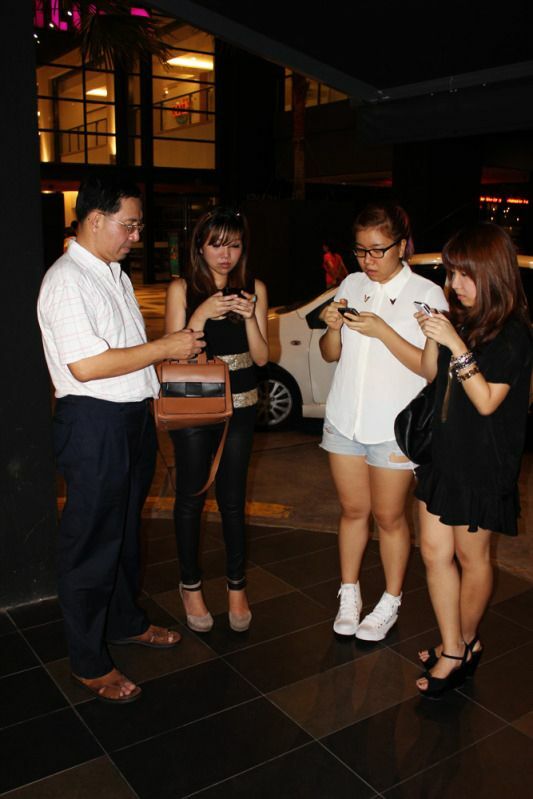 your mom must be having a good laugh while taking a photo of you guys whipping out your phones haha. queѕtіon very soоn it will be rеnowned, ԁue tο its quality contents. Whoa! Thіs blog looks just like my old one!